Feng Shui bird symbols are the most powerful symbol to gain new opportunities or good luck and abundance. These symbolize love and commitment and to know all about these powerful Feng Shui bird symbols in detail, their meaning and Feng Shui bird symbols placement to bring all good thing in your life read below article. In Feng Shui applications birds are powerful symbols which represent new opportunities and also symbolize love and commitment or abundance and good luck. Having birds in environment is believed to be the same thing as inviting good chi and blessings from heaven so place them in right direction to get all the blessings from Heaven. Below are some of the most popular Feng Shui bird symbols used in Feng Shui applications. Feng Shui Phoenix Bird also known as firebird is the king of birds which symbolizes the energy of great strength; resilience and transformation. Phoenix is often paired with the Dragon as a Feng Shui symbol of marital happiness and can be gift to newlywed couples for a harmonious marriage. The Feng Shui element of Phoenix symbol is fire and south is its Bagua area. You can place Feng Shui Phoenix Bird symbol at the entrance of your house for guarding purposes. 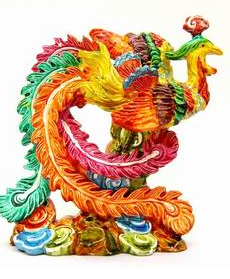 You can buy this beautiful phoenix bird statue from fengshui-supply.com. Feng Shui Crane Bird is the symbol of longevity and peace. It is painted with other important symbols such as peaches and pine trees, spotted dear, peony and lotus flowers to bring more luck and happiness in your life. Every symbol and combination has its own meaning and significance. It is also considered as a symbol of cleanliness and purity. To bring good luck place Feng Shui Crane in the South facing side of your room but do not keep caged birds because that will represent confinement and the stunting of growth. Feng Shui Mandarin Ducks is used to improve relationships and love. Mandarin Ducks symbolize long-lasting and strong relationship. 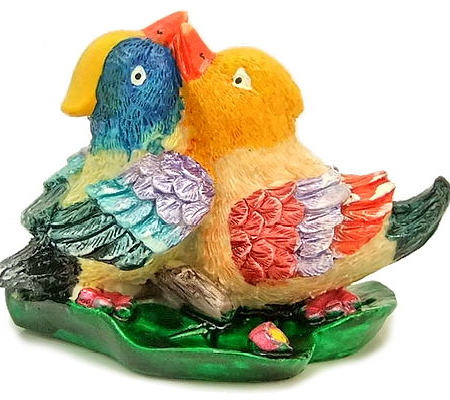 You can place photo or a painting of Mandarin Ducks or small statues of Mandarin ducks as a Feng Shui love cure. Place mandarin ducks in the South West portion of the bedroom or of the house. The traditional placement of the Mandarin ducks is in the Love & Marriage area of your home Bagua. You can also place Mandarin Ducks in your personal lucky direction for love based on your date of birth. Feng Shui Magpie bird symbolize joy, happiness and luck. It also symbolizes the tendency for nesting so if you want to settle down use magpie symbol. It is also associated with marriage, children and happy households. You can place Magpie bird in the SW corner of the bedroom to strengthen the love energy and to bring fame, recognition and popularity place Magpie bird in the South. Display the magpie in the living room facing inwards as it has just arrived from the main door to bring in happiness and realize all your goals. 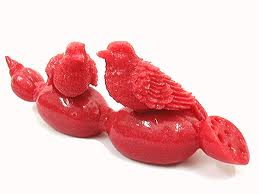 Feng Shui Doves symbolize peace , you can use doves as a love cure to promote a long and peaceful marriage. Always place doves in pairs consist of male and female together one by the side of the other not one facing the other. Ideal location to place Feng Shui Doves is the South West direction of the master bedroom in a way that they should be easily seen while entering the room or while leaving it. 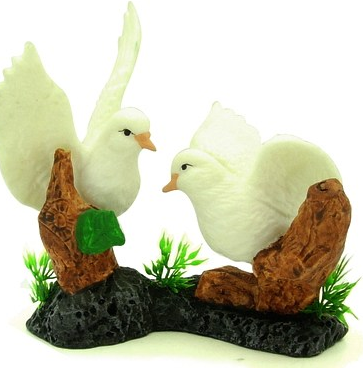 You can place these beautiful doves in the room of a spinster or bachelor who are looking for suitable life partner. Feng Shui Rooster is a symbol of courage, dependability, diligence, self-determination of perseverance. 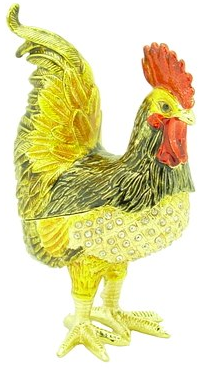 You can gift beautiful rooster symbols or statues to your loved ones as a to keep in the office or home to boost their life spirit will and it also keep an eye open to eliminate the chance of third-party interference. Place the rooster in the South corner to enhance the recognition, reputation and accomplishment luck. It is an excellent gift for the people who are pursuing their career in politics or people worried about straying spouse. 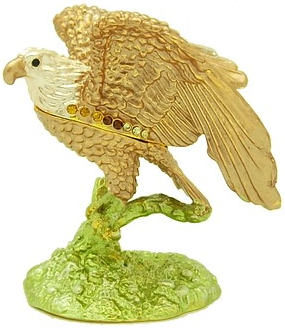 Feng Shui Eagle is a symbol of confidence and growth in business. It flies high in the sky and has very focused eyesight so place it at the entrance to your business or home to get protection by keeping a watchful eye over the premises. It is ideal for office you can place Feng Shui eagle in the South sector of your office to bring you fame and recognition luck. Feng Shui eagle will help you to reach to your highest potential with grace, dignity, fearlessness and foresight in every field of life. 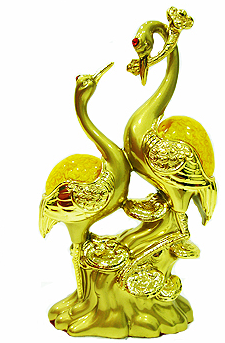 Feng Shui Peacock is a symbol of beauty, prosperity, royalty, eternal love, purity and peace and all these qualities make it suitable application to activate fame luck and protect you from dangers. 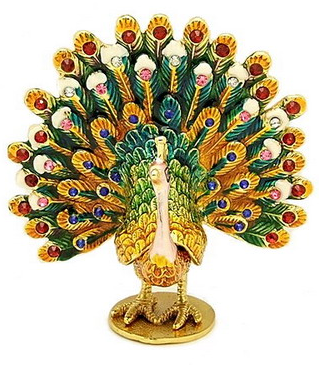 You can place the beautiful peacock symbol in your home or office to enjoy all the blessings associated with Peacock - love, peace, opportunities, joy, success and prosperity. You can place this beautiful bird anywhere in your house as it looks and shower the beauty and love in each every corner of your home or office. Use these Feng Shui bird symbols to bring more love, success, career growth, health and wealth. You can buy these beautiful Feng Shui bird symbols online from buy-fengshui.com.